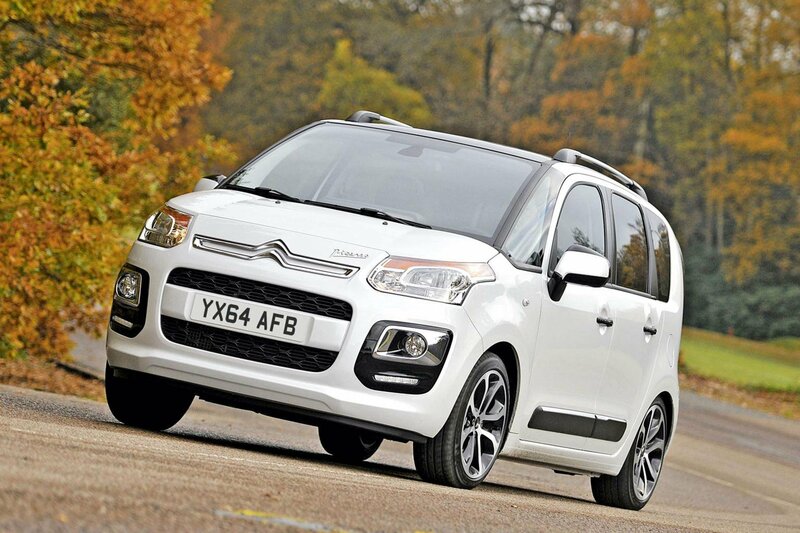 Deal of the day: Citroen C3 Picasso | What Car? The Citroen C3 Picasso is a great MPV. It has class-leading space efficiency and outstanding quality, and is now available at a very tempting price with a huge discount if bought through online brokers. The Citroen C3 Picasso is a quirky, stylish and practical car. It has a 385-litre boot capacity, expanding to an estate car-rivalling 500 litres with the rear bench folded flat. This version has a comfortable ride and comes fitted with Bluetooth, halogen headlamps and curtain airbags. The excellent new 1.2-litre three-cylinder turbo engine returns 56mpg and its CO2 emissions are 115g/km. The Picasso lags behind the class leader, the Ford B-Max, for handling prowess. It will only retain a third of its value after three years, although a £6000 discount will offset much of this depreciation. The Exclusive comes with plenty of standard kit. However, to achieve a more upmarket feel, tick the option boxes for Alcantara at £380 and the sat nav system with 6 speakers for £750. Metallic paint will set you back £495. Head over to Drivethedeal.com, then select ‘Citroen’ and ‘C3 Picasso Estate’ to see the range of deals available.